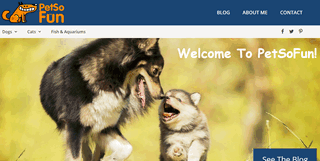 Pet So Fun is a blog aggregating useful pet information. We provide everything pet owners need: nutrition, health, care, treatment, behavior, and training. We target dogs, cats, and goldfish.